An ERP is used for transforming the company. All the systems can be integrated with each other which will be helpful in running the organization successfully. Installing an ERP is not an easy task. If the system falls out it can have a huge impact on the business. So, before adopting this system you should know everything about it. The flexibility and the scalability of the ERP depend on different factors that exist in a company. Due to cloud computing, ERP software are widely available to all sort of businesses whether small or big. There are radical changes that are taking place in the cloud market. 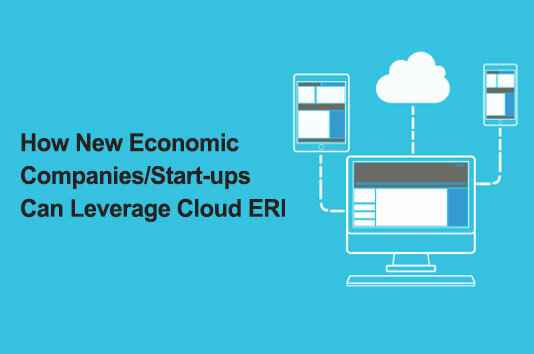 Entering into the ERP is a critical shift in needs of the clients, the capabilities and the deployment options that will demand capitalizing on the underlying cloud computer infrastructure. Being in a startup is challenging, but it has its own advantages. From the initial stages the focus should be on the cloud ERP deployed either on-premise or Software-as-a- Service (SaaS) configuration. There is no burden on maintaining a legacy software solution but the resources should be used for expanding the functionalities of the software. The functionality of the ERP is built on a solid foundation. ERP are featured with multi-language, multi-currency and multi-entity capabilities SMBs which need to pivot and compete with the global economy. There should be a clear idea about the market. The mid market companies are the ones that help in the economic growth of the product and the services. Most competitors focus on moving up and sell their products to the large enterprises. The reports are what you are completely judged upon. Pay attention as to what is selling in and out of the market. One day you might start realizing that the key for providing the software services to your customers is to have a strong network of the global partners who would help to serve the customers in a better manner. The partners have an extensive training and tools which empower them to offer supreme services to the customers. The values and the vision that your organization has been stood upon should be embodied in the employees. This will help to give a boost to your business. A few differences and that will help you for rapid growth and come up in a different level. Installing a Cloud ERP in your start up can prove to be a boon. The work process will be simplified and easy. Consider Inspirria Cloudtech as your premium partner for implementing the cloud service providers, ERP solution providers for your organizations which will serve the customers for all the services. Take us as your new cloud innovation partner with decade plus of experience working with 450+ Cloud projects. Push productivity to its optimum level with proven solutions, which is used by the best companies all over the world.